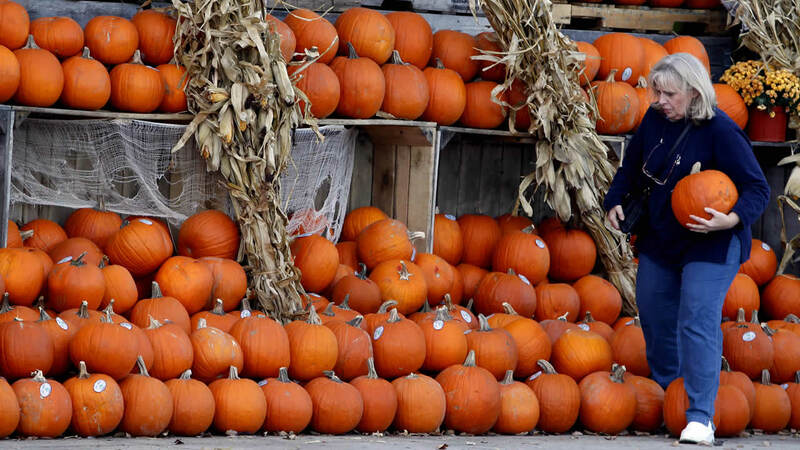 NEOGA, Ill. -- Crop experts say there should be enough pumpkins for Halloween, but that supplies of canned pumpkin could be scarce by Thanksgiving. Illinois is the country's top pumpkin-producing state. Mohammad Babadoost is a plant pathology professor at the University of Illinois. He says "we'll have a pumpkin for everybody" for Halloween, but cautions that canned pumpkin could run low by Nov. 26's Thanksgiving holiday. He says he'd "buy it whenever it comes to the store." Meanwhile the large canned pumpkin manufacturer Libby says yields in Illinois appear to be less than anticipated this year. Farmers are blaming record rainfall in June for washing out crops. Jane Moran owns Moran Orchard in Neoga. She says they replanted and it rained more so they're buying pumpkins at auction twice a week.